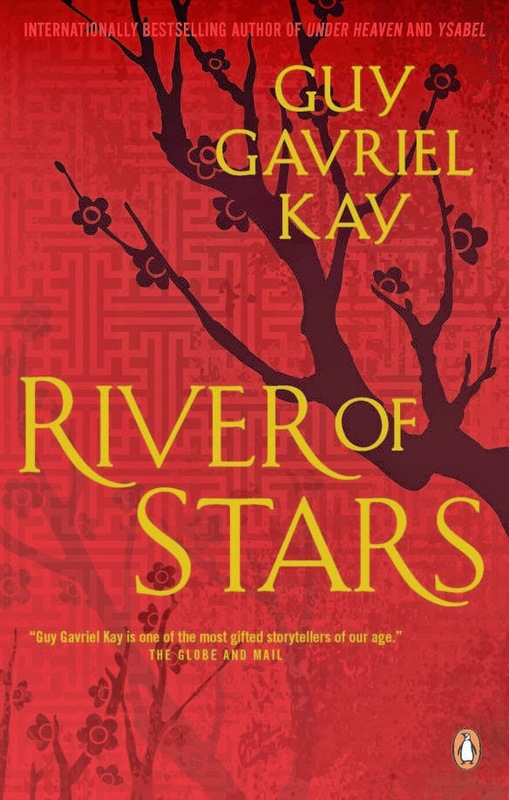 Penguin Canada unveiled the cover for the trade paperback edition of Guy Gavriel Kay's River of Stars earlier today. 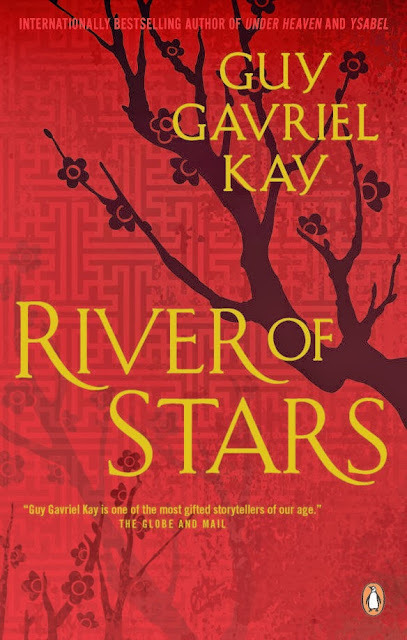 I have been very lucky with River of Stars in my English-language covers. (We’ll start seeing some of the foreign language cover roughs soon. Cross fingers with me.) I loved the blue court figure for the Canadian and US hardcovers (and the US will adapt it for their paperback) and I loved the beautiful UK cover as well (they are also staying with a variant of this for their pb). I think this new effort by the Penguins in Canada is terrific. My publisher/editor, Nicole Winstanley had some strong ideas about what she wanted to try for, but of course it becomes the task of the (long-suffering?) art director and department to find visual ways to achieve this. I know, because they made a point of telling me (!) that a lot of work and fine tuning went into this look. I saw it in next-to-last version and had only one note, which they agreed with, and smoothly incorporated. Follow this link to read the full piece.